School of Natural Sciences Dean Juan Meza was recently elected to the American Association for the Advancement of Science’s (AAAS) Committee on Council Affairs. His selection became official during this year’s annual AAAS conference in Boston in late February. His term lasts two years, and he is one of eight members of this executive committee who will help guide the AAAS annual conferences and other efforts. Meza is a passionate advocate for science and science education, and said he looks forward to working with his fellow councilmembers to help the world understand why science is so important. The world's largest multidisciplinary scientific society and the publisher of research through its Science family of journals, AAAS has members in more than 91 countries. It’s a nonprofit dedicated to advancing science for the benefit of all people, and its major goals include enhancing communication among scientists, engineers and the public; providing a voice for science on societal issues; promoting responsible use of science in public policy; strengthening and diversifying the science and technology workforce; fostering education in science and technology for everyone; and increasing public engagement with science and technology. 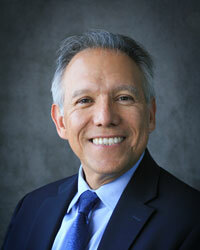 Meza has been an AAAS member for a dozen years, serving on different committees. He is a computational and applied mathematician and earned his degrees from Rice University. He headed the Computational Research Division and the High Performance Computing Research department at Lawrence Berkeley National Laboratory, was a Distinguished Member of the Staff at Sandia National Labs and was a research engineer at Exxon Production Research. He has a long list of awards and honors for his work and research, including winning the Rice University Outstanding Engineering Alumni Award; being named an AAAS fellow; and being named a Distinguished Scientist by the Society for the Advancement of Chicanos and Native Americans in the Sciences (SACNAS). He served on the board of directors at SACNAS and on the National Science Foundation Advisory Committee for Cyberinfrastructure, and he serves on the National Research Council’s Board on Mathematical Sciences and Their Applications.